Abuse first – then killing. PETA got the BAN on bullhooks. I know they can get the BAN on whips. The industry, via the racing commissions, certainly isn’t going to protect the racehorse as previous records show. 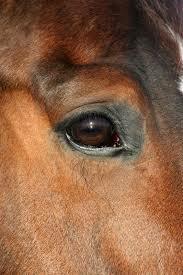 In fact, the racing commissions have merely become window dressers for the abuse often upholding the abuse. After all, a pathetic $100 Fine is endorsing the abuse. It will take either a group like PETA or wealthy individual(s) to file a lawsuit against a jockey who excessively whips a horse. Bring it into the court system away from the commissions & industry. There’s no doubt in my mind that the legal system will view it as animal cruelty and/or abuse. Once we get one ruling in our favour then it will set a precedent. This can be done. I swear if I had the funds I would do it myself.